PRESS RELEASE: Miami, Florida (June 19th, 2018) – Karukera One Love offers more than 12 hours of Caribbean artists performing on a floating stage on the ocean this summer in Guadeloupe. 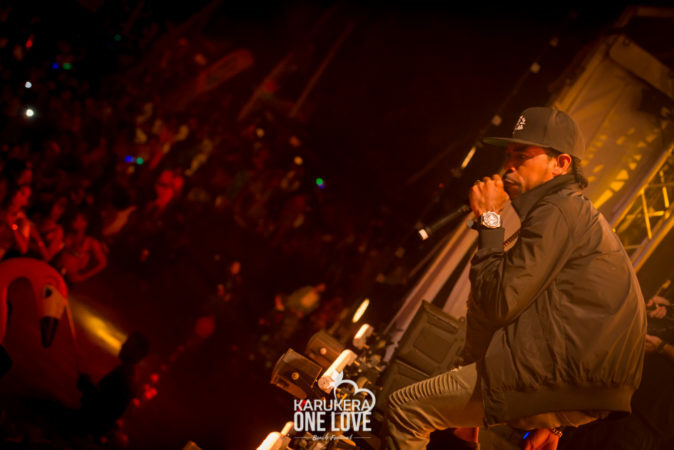 The music festival Karukera One Love was created to boost relationships between the Caribbean islands and create a cultural bridge between communities and nations. The all-day and night music festival will showcase Caribbean artists on its one-of a-kind stage installed on the ocean on August 19th, 2018. This second edition will welcome the king of Soca music, Machel Montano, to the island for the first time in a more than a decade. As an effort to further established relationship with neighboring islands, the Minister of Education of Trinidad, the Honourable Dr. Lovell Francis, M.P will be present as well as Glenda Rose Layne Coordinator for Culture at Division of Tourism, Culture and Transport – Tobago House Of Assembly. A showcase of Djs will also represent several genres of music, starting with headliner Walshy Fire, from the USA and Jamaica (from Major Laser), DJ Private Ryan (Trinidad and Tobago), Dj Maestro (St Marteen), VJ Lou (Martinique) and more…. Several music genres will be featured during this event, which drew a crowd of more than 10,000 people for its first edition in 2017. Zouk, dancehall, bouyon, Compas, Reggae and Soca will be the delight of the festival attendees with more artists such as Fuckly (Guadeloupe and Haiti), Ricky-T (St Lucia), Drexi, Zouk Look, and Patrick the HypeMan. “We often hear about our neighboring Caribbean islands but we don’t meet each other as often as we would wish. An event such as Karukera One Love is the perfect occasion to create partnership, networking and friendship between Caribbean nations. It is the first time DJ Private Ryan and Walshy Fire will come to Guadeloupe, which is often unknown from our peers, but we welcome everyone to experience that Caribbean love. Music is an excellent vector.” explained Thierry Reynaud, co-founder of Karukera One Love.